You will Watch Ultimate Spider-Man: Web Warriors Season 3 Episode 21 online for free episodes with HQ / high quality. Stream cartoons Ultimate Spider-Man: Web Warriors Episode S03E21 Halloween Night at the Museum. 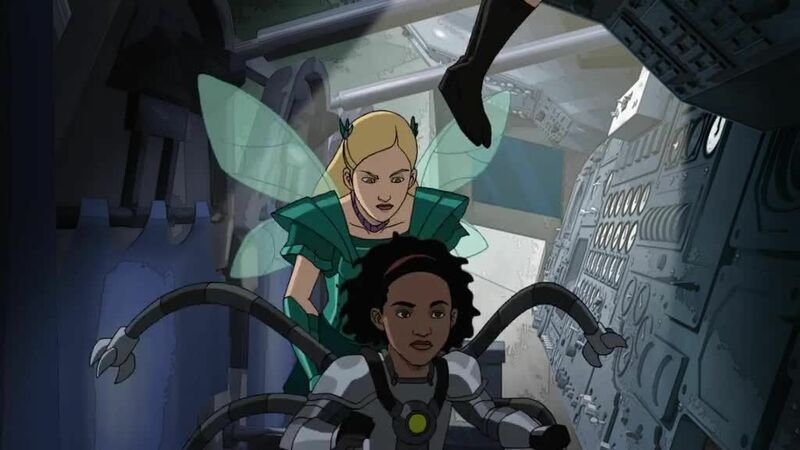 The cast of Jessie find themselves animated as Jessie finds a medieval sword coveted by Morgan le Fay when she takes Emma Ross, Ravi Ross, Luke Ross, and Zuri Ross to the museum. Jessie teams up with Spider-Man to save Halloween and the world from the evil plans of le Fay’s and henchman Jack O’Lantern. 3.8 / 5 - 37 ratings.